← Finally! Bike Share Live in NYC! 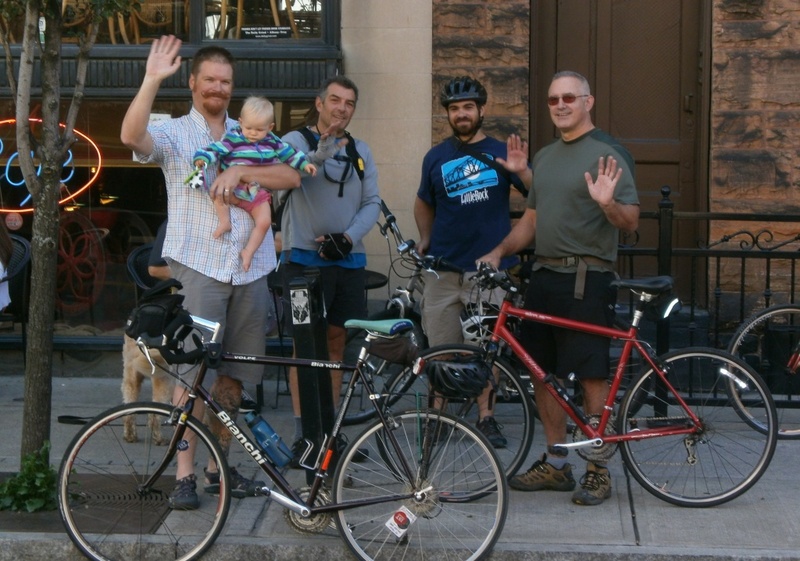 A small group “met up” on a soon-to-be-sizzling Saturday at 9 AM in Washington Park to ride the Mohawk-Hudson Bike-Hike Trail to Troy’s outstanding Farmers Market. After cruising around the wide selection of goodies and groceries, a couple of us stopped in at the Fence Show at the Arts Center of the Capital Region to see the 555 entries. Don’t wait – the salon style show will end on 6/16 to be followed with the chosen 50 pieces to be exhibited in the “Fence Select.” While the “select” show is nice, seeing all the varied entries in many media displayed wall to wall and ceiling to floor is a real treat. 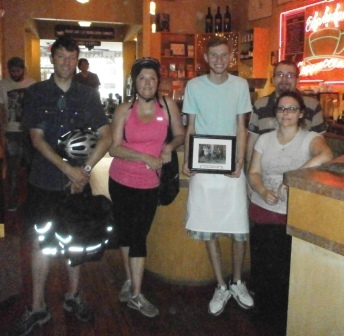 Following our visit to the Famers Market, we rode a couple blocks over to the Troy Daily Grind to present a framed photograph of last year’s Daily Grind-Daily Grind ride (see photo from 2012). The owner, Barrye, our host in years past and again for the to-be-announced 2013 ride, graciously asked the on-duty counter staff to pose for the presentation with ride leader Keith and rider Roberta. The “5th Annual” 2012 ride was a family first with young participants Indiana (pictured) and Theo (aged two at the time) who met up with us in Troy. 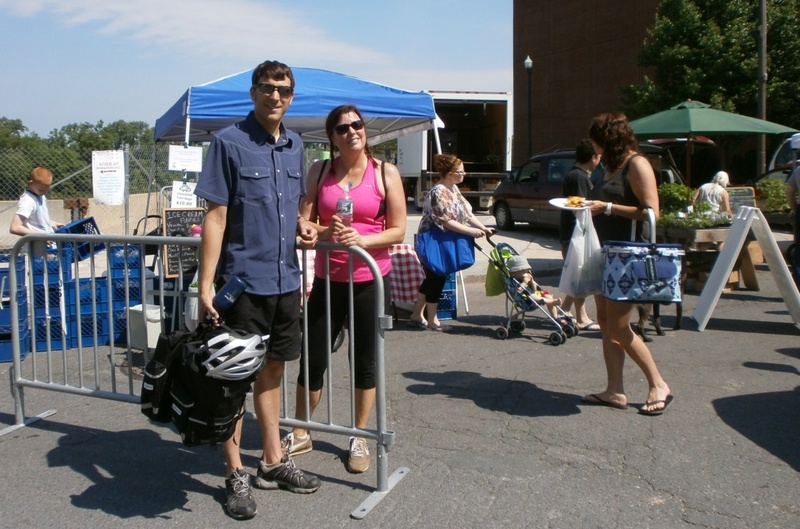 The 2013 Daily Grind ride will be in early-mid August. We had a nice cruise back to Albany on a shady bicycle trail followed by a slow climb up the hill to Washington Park.